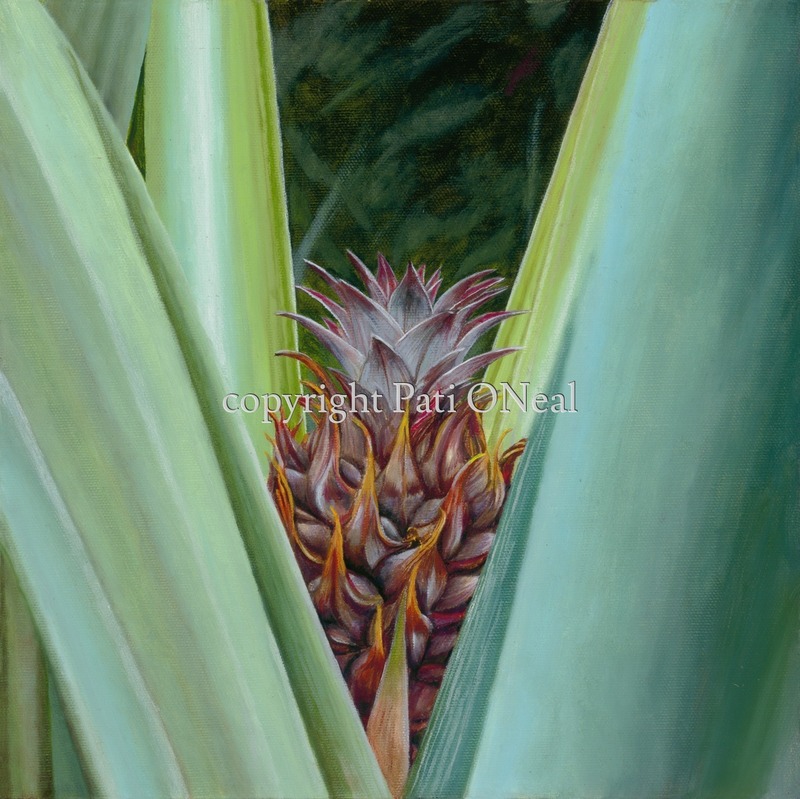 The early beginning of a sweet and juicy pineapple. Original oil on canvas is sold and in a private collection. Contact the artist for a similar commission.